Often, when patients at our Boise office have damaged or missing teeth, they turn to wearing partial or full dentures as a solution. A denture can be a great option for those who would like a fresh smile! A denture is simply a full arch (row of teeth) replacement that looks and functions like your natural teeth. Functional: Dentures allow you to regain the full functionality of your mouth and smile. The all on 4 procedure is particularly attractive in that it gives you the ability to eat, laugh and smile with confidence as the denture is attached to your mouth via implants. Beautiful: Dr. Blaisdell offers remarkably natural looking denture solutions to Eagle and Meridian ID area patients! You can smile with confidence again. Long Lasting: High quality dentures will last as long as you in many instances. You don’t need to worry about getting replacements every few years. The all on 4 treatment option for the people of Meridian ID is a state of the art denture technology that is permanent and tremendously beneficial for those who choose this option. As the name implies, the all on 4 dentures are held securely by four permanent and extremely stable tooth implants. This means you need not worry about foul tasting bonding agents used in the attachment of the denture or worry about your dentures accidentally popping out on you. Another huge benefit of the All on 4 dentures option is it sometimes only takes one visit to our Boise office to undergo the entire procedure. You can literally visit our office during your lunch break and you will leave with a beautiful new smile. If you would like to know more about the all on 4 solution or other procedures for your damaged or missing teeth, we urge you to contact our Boise office near Eagle and Meridian ID as soon as possible. 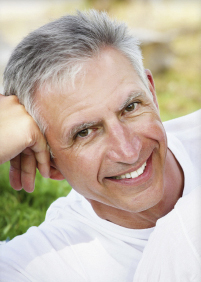 Contact Dr. Blaisdell and his exceptional cosmetic dentist for your beautiful, custom, and high quality dentures now!